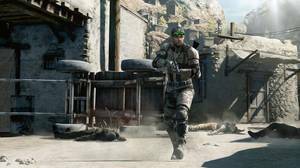 Last week we watched while Ubisoft played through a level of upcoming stealth action title Splinter Cell: Blacklist. Here’s what we saw. 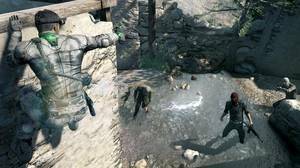 That which does not kill only strengthens, and thus out of the demise of spy agency Third Echelon in 2010’s Splinter Cell: Conviction grew Fourth Echelon, whose base is – get this – airborne at all times. Yep, an Avengers crossover is on the horizon for sure. The Paladin is a gigantic plane repurposed as a flying base for Sam Fisher and company, and it is from her deck all aspects of Blacklist may be accessed, from multiplayer lobbies to equipment loadouts – there are no menus. 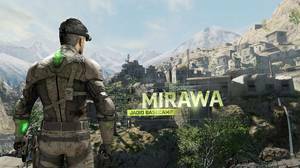 However, today we’re taking a gander at some singleplayer content involving a terrorist group called The Engineers, who have begun making their way through The Blacklist – a deadly countdown of escalating terrorist attacks on United States assets. Our destination is Libya, where a wanted arms dealer with ties to The Engineers has very strangely turned himself into the CIA. The twist on that twist? He’s Andriy Kobin, a fellow who Conviction players will be most familiar with, and who Fourth Echelon need to get to before he's claimed by that agency. News that it is Kobin sends Fisher into something of a rage, and he brushes aside orders to take the target alive. There are three distinct play-styles in Blacklist – ghost, panther, and assault – and each comes with its own equipment and skill trees. Ghost players avoid detection altogether, Panthers use a stealthy approach but engage the enemy, and Assault go in guns blazing. The style employed by the player not only affects the experience points gained for that style, but also team comments during missions, and apparently even the wider plot in some instances. The first order of business, then, is to select weapons, armour, and equipment that fit the player's preferred style. There are a decent number of customisation options here, with more advanced gear able to be purchased with money that is awarded for challenges such as multi-kills. 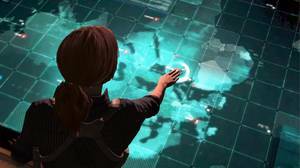 Arriving in Libya, we find that the CIA operatives are dead and Kobin is gone, but fresh intel points us to a new location where he is being held. The mission opens in a familiar manner: objectives appear in giant lettering on walls and Sam sneaks about – this time on rooftops under the hot African sun – looking for a way inside the enemy base. A quick trip down a zipline is punctuated by a takedown (a new move), and with Fourth Echelon’s Isaac Briggs covering him with a sniper rifle, Fisher avoids or silently eliminates guards. Hiding bodies remains as important as ever, but there is always the option to go loud. Notably, the Mark-and-Execute move in which a group of enemies are tagged (even via camera) and then dispatched with the touch of a button has been beefed up, so now Fisher may kill up to five in one go, grabbing the nearest assailant to use as a disposable shield as he does so. The use of this ability is still governed by tokens, which are earned by pulling off other, less spectacular feats. The biggest visible change to gameplay is the cover system, with the player able to aim at a corner and press A to send Fisher sprinting to that spot, a quick press of B activating a slide or crouch. A backpack UAV used for surveillance is also new, and handily gives the player a bird’s eye view of the area ahead. 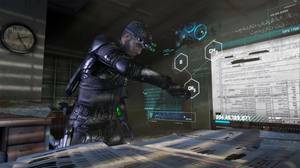 A throwable sticky camera (with built-in distraction alarm) joins the usual gadgets such as the franchise’s signature multi-vision goggles, but all else we saw was classic Splinter Cell. Ubisoft says it is going for a more cinematic feel with Blacklist, and that it wants to flesh out the support characters a little more to achieve this. From the little we saw it’s hard to tell if they have succeeded, but a wider focus in that regard would be welcome. 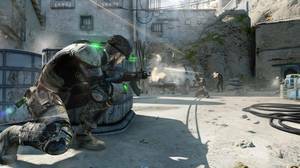 The developer also claims that guards are almost never at the same spot when the game is replayed, as their behaviour changes after every reload. 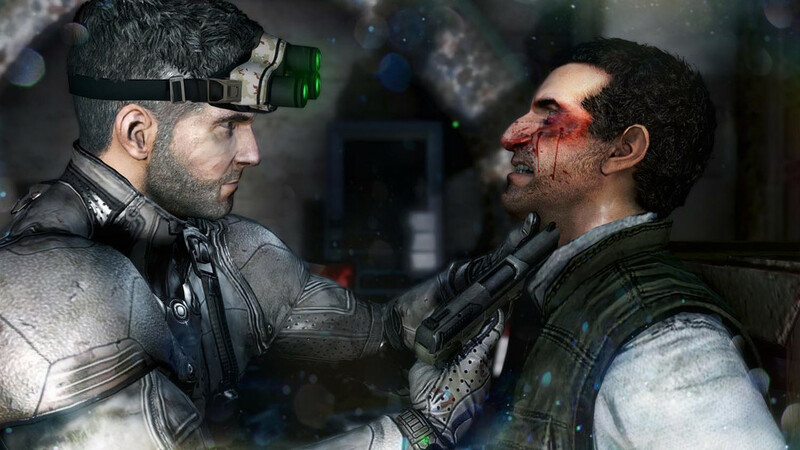 This would be an excellent feature, in what is looking like another strong entry in the Splinter Cell franchise. 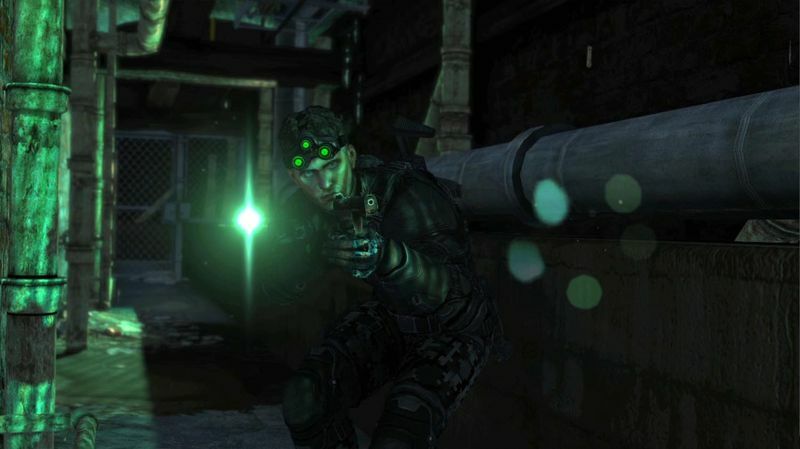 Splinter Cell: Blacklist is due out for Xbox 360, PlayStation 3, Windows PC, and Wii U on August 22.